Lou Sullivan wasn’t one to pull rhetorical punches. Throughout his many journal entries, articles, and speeches, he was unfailingly authentic and honest. Even when he didn’t have words to describe what he felt deep down was true about himself, Sullivan sought that truth with dogged determination. Brice D. Smith’s new biography of this founding father of the modern transgender movement and chronicler of LGBTQ history in the mid-20th century does that legacy of authenticity justice. Sullivan was raised as a good Catholic school girl in the 1960s, but ended his life as the gay man he had always known himself to be. 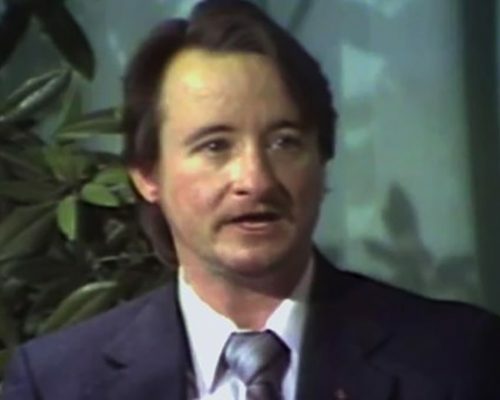 Tragically, he would also become the first known case of a transgender man contracting HIV/AIDS, and he died of the disease in 1991. In between, Lou lived an incredible life that had far-reaching implications and impact on the lives of countless of his fellow transgender men, and the LGBTQ community at large. We’re entering an age when some of the pioneers of the LGBTQ rights movement are passing away, or passing out of living memory. That’s part of what makes Smith’s new biography particularly poignant and so important. The book provides an exhaustive and loving portrayal of the Wisconsin-born activist, including much of Sullivan’s own voice as found in the copious journals kept over his lifetime. The accounts of Sullivan’s dabbling in the counter culture scene of the late ‘60s at Avant Garde, and then diving into gay liberation—and then AIDS-era San Francisco, are at turns heartfelt, thoughtful, frank, and refreshingly explicit. It’s clear from the outset that the subject and the material hold special relevance for the author, and it only seems to help Smith provide a compellingly human and honest look into Sullivan’s all-too-brief life. Between Sullivan’s own accounts and Smith’s extensive research, a picture is painted of many of the earliest organizations, people, and institutions that shaped the burgeoning LGBTQ community. 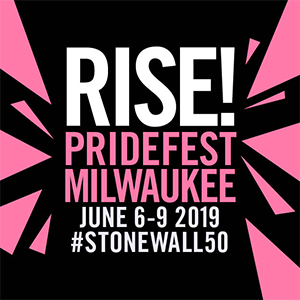 We see the radical inclusiveness of one of Milwaukee’s earliest queer organizations, the Gay People’s Union. Not only did the gay men and lesbians in the group welcome Lou as he was just beginning to figure out his identity as a gay trans man, they embraced him as a leader and looked to him as a voice to help educate around transgender issues. At the time, though, there was no sense yet of “transgender” as an identity, but rather all Lou had to work with was the idea of transsexuality (a medical institution imposed label that had more to do with physical transition than an internal identity) and transvestism (cross dressing). Lou spent many years of his early life referring to himself as a transvestite, but the label never really fit. “I wanna look like what I am but I don’t know what someone like me looks like,” Lou wrote in his journal, showing remarkable sense of self even as a teenager. Sullivan would go on to write one of the definitive early pieces of literature and guides for his community; a pamphlet, later expanded to a book, called Information for the Female-to-Male Crossdresser and Transsexual. 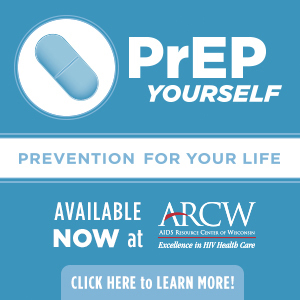 He also wrote on the topic for several queer and even some mainstream publications at the time, and became one of the earliest case studies for those in the medical profession studying transgender people. In fact, Sullivan helped to push the medical establishment toward a model where trans people were the experts on their own needs and experiences, rather than the top-down model that led to barriers to transition care for Sullivan and many others. Doctors at the time frequently denied transition surgery to transgender people who said they were gay or lesbian, for instance, something Sullivan fought against until the end. Sullivan, like his biographer, also had a keen sense of the need to preserve the community’s history, even as it was happening. He helped to found San Francisco’s GLBT Historical Society, and later bequeathed all of his works to its archive. Thank goodness, too. That wealth of both personal and larger history cannot be overstated, and Smith has done a wonderful job of helping to tell a significant part of that story with this book. 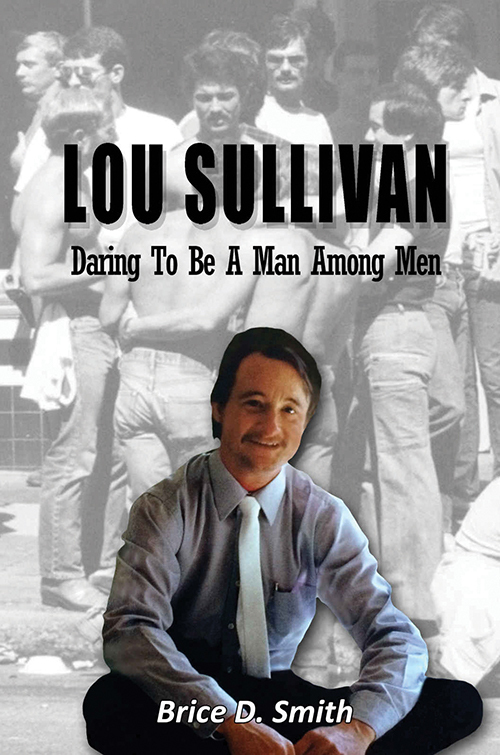 Lou Sullivan: Daring to Be A Man Among Men is a finalist in this year’s Lambda Literary Awards, for Transgender Non-Fiction, with final awards given on June 4 in New York City.